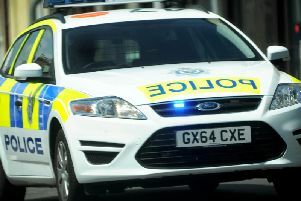 Two people have been arrested following an incident in Horsham town centre. Police said officers were alerted to ‘suspicious activity’ around a car parked on double yellow lines near Dunelm last Thursday (March 21). Officers attended and two people were arrested. Christopher Carthy, 22, a labourer of Lydia Park, Stovolds Hill, Cranleigh, Surrey, was arrested and charged with obstructing or resisting a constable in the execution of their duty and bailed to appear at Crawley Magistrates’ Court on April 24. Helen Carthy, 26, unemployed, of Lydia Park, Stovolds Hill, Cranleigh, Surrey, was arrested and later charged with driving a motor vehicle otherwise than in accordance with a licence and using a motor vehicle on a road or public place without third party insurance. She was bailed to appear at Crawley Magistrates’ Court on April 5.